Expect more from your home phone. Communicate. Connect. Control. 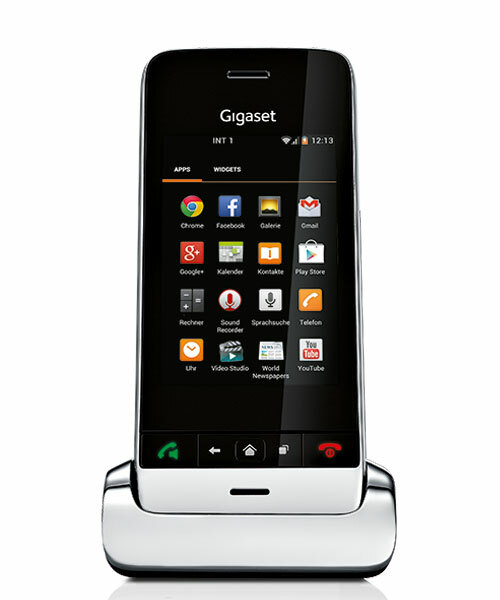 Experience the new Gigaset SL930A Android™. The new Gigaset SL930A home phone with Android™ and DECT technology combines the high definition speech quality of a home phone with the advantages of a smartphone. Upgrading your life in many different ways: Round-the-clock information, organisation, homecontrol, entertainment and availability. 24 hours, whenever you want. Discover all the possibilities. Organize yourself, your business, your family and your social life. And stay constantly up-to-date: Google cloud automatically synchronises your adressbook, your calendar and your emails. Just with a few touches you can set timers and alerts and make different kinds of appointments. 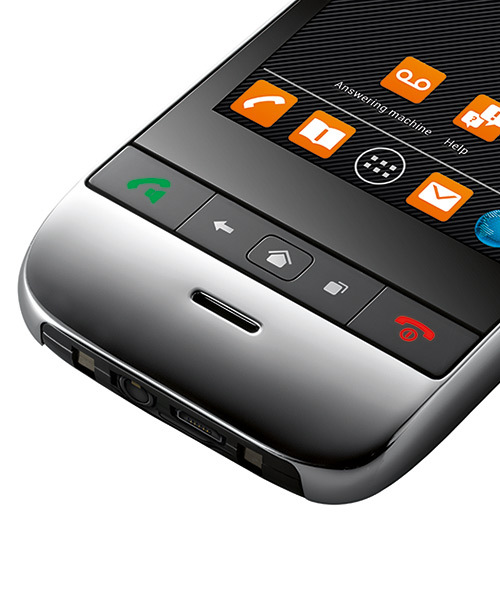 Discover all the possibilities that the new Gigaset SL930A Android home phone has to offer. Call a taxi and check its current position on the display. Update and synchronise your contacts with google cloud. Organise yourself. Synchronise appointments and alerts. Stay up to date with news from around the world. Make your home more comfortable and remote it easily with just one touch. Open the door, control your security cameras, switch on your TV/HiFi System, shut the blinds, regulate heating and lights and feel a bit more "at home" every time. Do you want more? 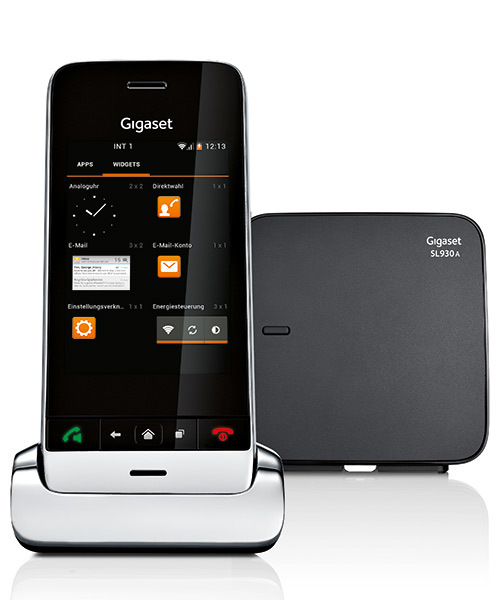 The new Gigaset SL930A Android™ home phone can do more. Discover all the possibilities. 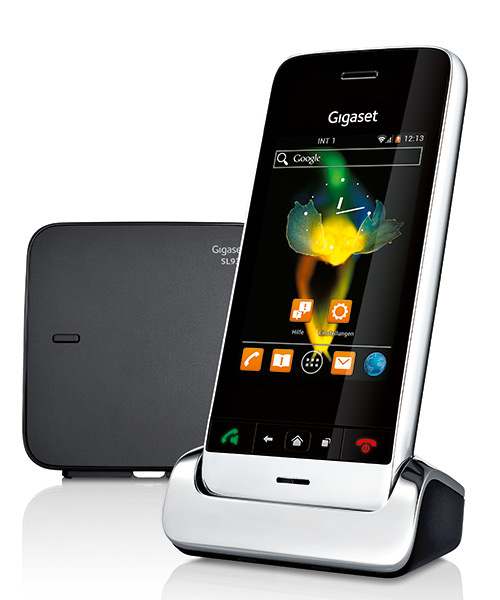 The new Gigaset SL930A Android™ home phone caters for all your entertainment needs. Listen to your synchronised music. Watch YouTube. Play your favorite games. Check sport results. Shop on ebay. Search for recipes. Or just browse the internet for inspiration. You have the choice. And the new SL930A has the possibilities. Discover them all. Surf faster with Google Chrome for Android™. Watch music videos and films on YouTube. Live Ticker, results and tables of more than 175 leagues. Find, enjoy, & share apps, music, movies & books. Stay connected to your family and friends using only one central device. Catch up with your loved ones via Skype Chat, Facebook and any other social network. And for your business communication, access your e-mail accounts or tweet the latest news - whenever you want to. 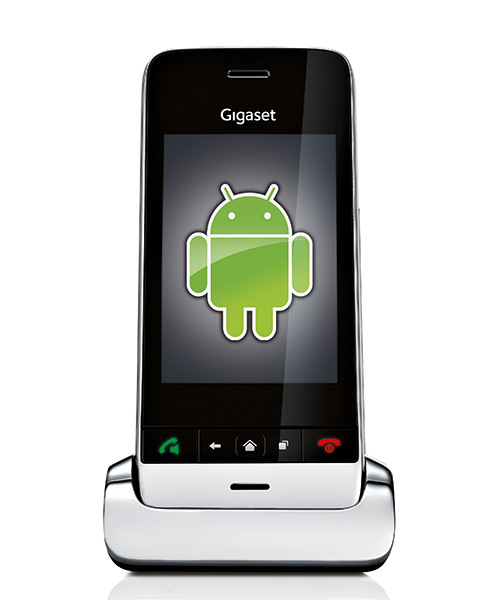 The new Gigaset SL930A Android™ home phone offers many more possibilities. Find out now. Manage your email and accounts easier and faster. Tweet the latest news and follow your friends. Chat with your friends. Post and share your life. Fast access to your contacts or information. Feel closer to your friends. Enjoy HD speech quality thanks to DECT. by a longer speeking time. Low radiation. And you are always "on" and available. 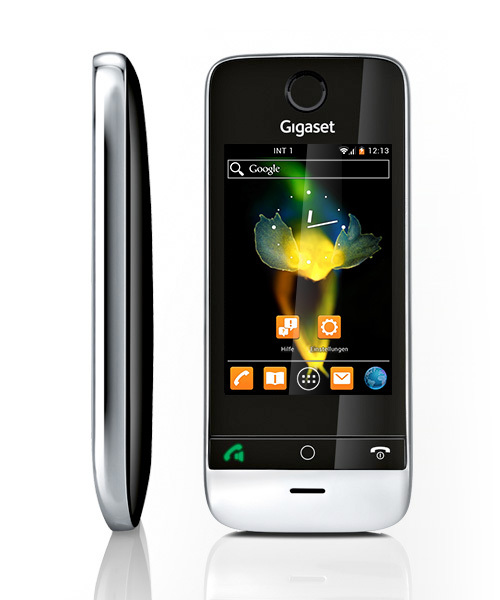 The new Gigaset SL930A Android home phone. A pleasure for both you and your correspondent. Look forward to it. out that functionality can indeed be combined with outstanding aesthetics. Experience the preinstalled answering machine App. The new SL930A comes with a preinstalled answering machine app. So your contacts can reach you wherever you are. With up to 55 minutes recording time and remote message playback. New messages are displayed on the screen and the answering machine can be operated via the handset. Should you want to make a note of the details of important conversations, the telephone recording function lets you save it for later.